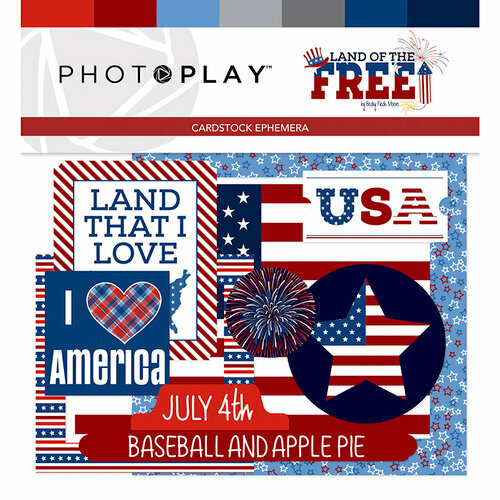 Show off your spirit for the land that you love this 4th of July with some paper crafts using the Land of the Free Collection Ephemera designed by Becky Fleck Moore. 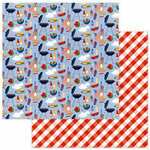 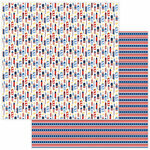 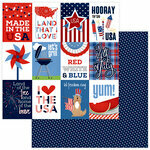 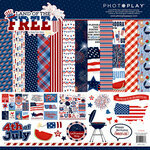 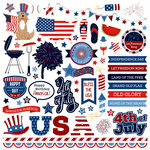 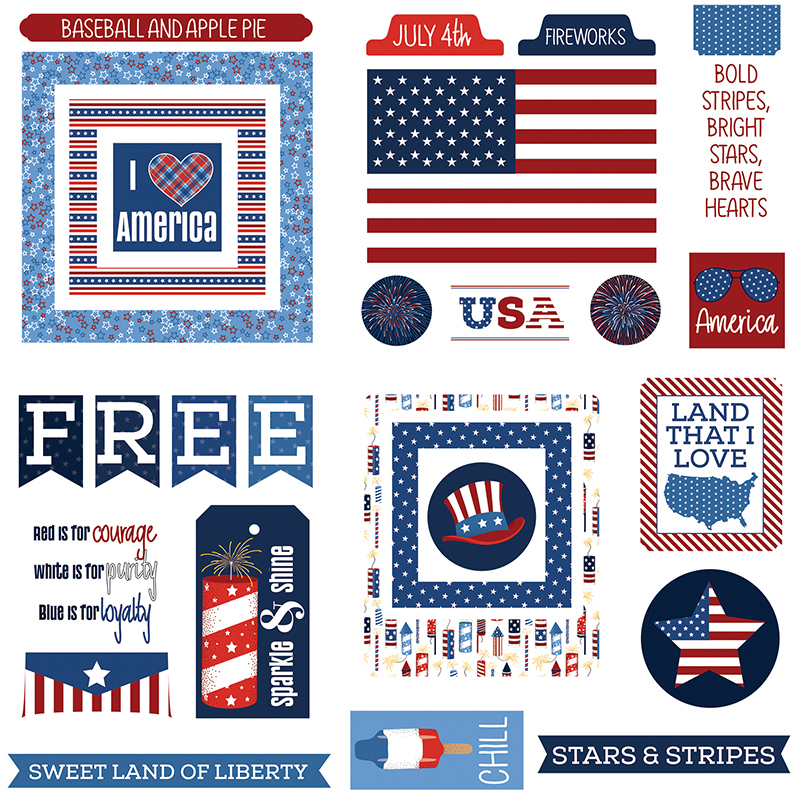 Included in the package are die cut cardstock pieces in images of stars, flags, fireworks and more. 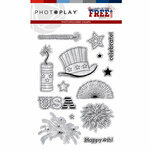 The die cuts are by Photo Play Paper.